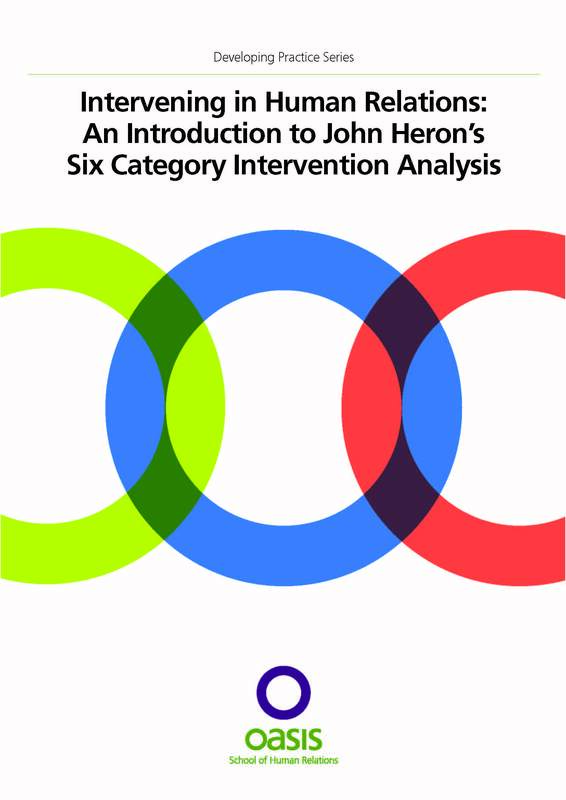 John Heron’s Six Category Intervention Analysis (SCIA) is a comprehensive and exhaustive framework for assessing the impact of interventions upon human relations activities. Intervening in Human Relations: An introduction to John Heron’s Six Category Intervention Analysis begins by outlining the background to the system. This is followed by clear, concise and coherent accounts of each of the interventions, together with their appropriate and degenerative forms, before, finally, outlining issues and concepts of working with the interventions. Anyone who is working with others in any arena will find this manual very helpful and illuminating. Successfully applied by over 10,000 participants in Oasis programmes and through our work, a comprehensive overview of the helping relationship. A process guide to authentic collaboration in contemporary forms of leadership. For anyone interested in or having to develop ways of partnership working. A practical and accessible guide to human relations – the personal skills and understanding that enable people to be more effective at work, home or in their social lives. An invaluable resource for anyone involved in the development of mentoring and coaching, in the workplace or in private practice. Intervening in Human Relations outlines John Heron’s Six Category Intervention Analysis, for anyone working with others. Recognising and understanding one’s temperament can help us understand ourselves and enable us to work out our questions and development needs with assurance.